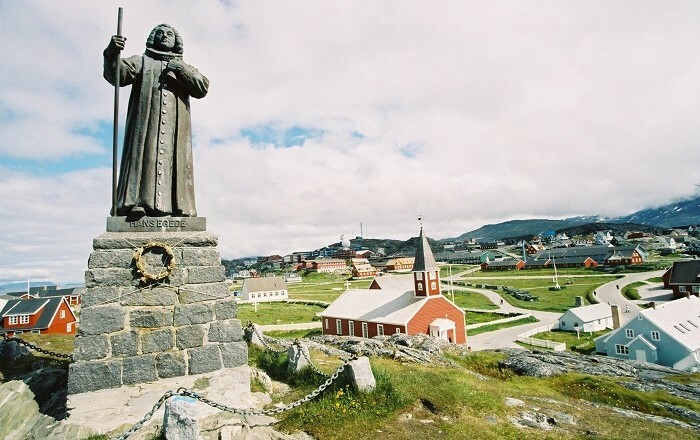 The Statue of Hans Egede is a small prominent monument that is located in Nuuk, which is the capital and largest city of the autonomous country within the Danish Realm, Greenland. 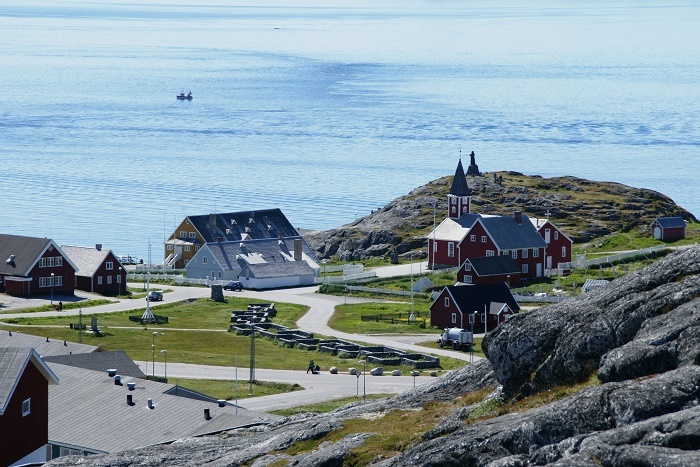 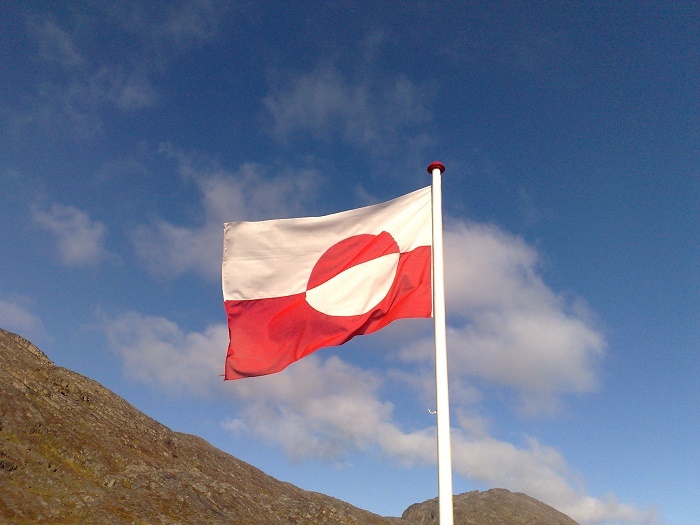 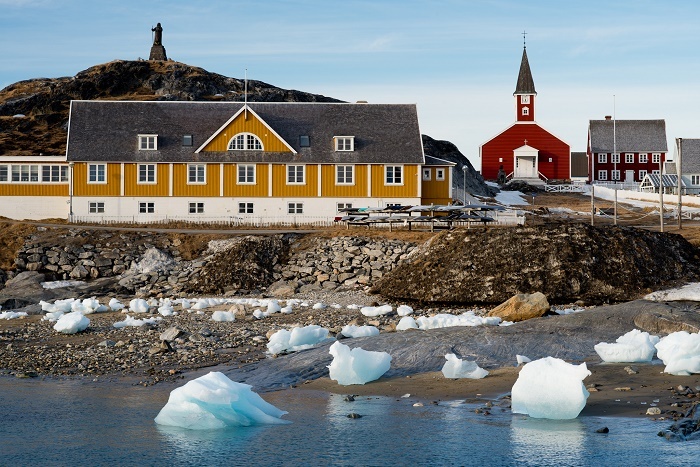 Dedicated to the Dano-Norwegian Lutheran missionary who launched mission efforts to Greenland, Hans Egede, it stands atop a small hill in the historical Old Nuuk area, it overlooks also the Nuuk Cathedral. 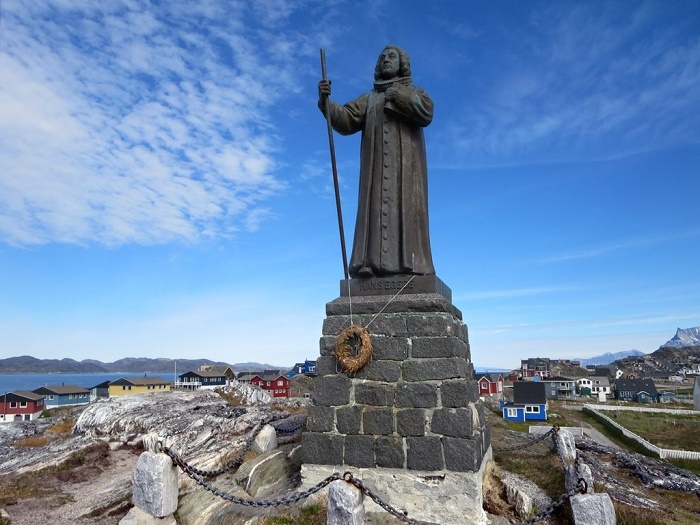 He also is the person who founded the city of Nuuk in 1728, so having this statue in the important part of the city is of a great importance to the Greenlanders. 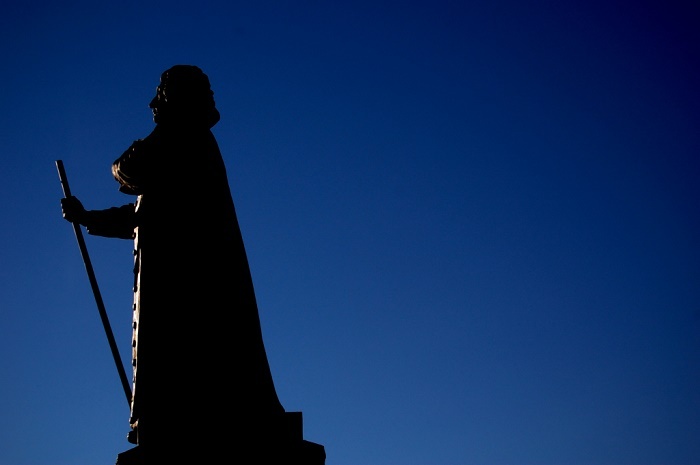 The somewhat 2 meters (7 feet) tall statue, stands on a square grey stone pedestal, with Hans Egede himself holding a simple stick-looking pastoral staff. 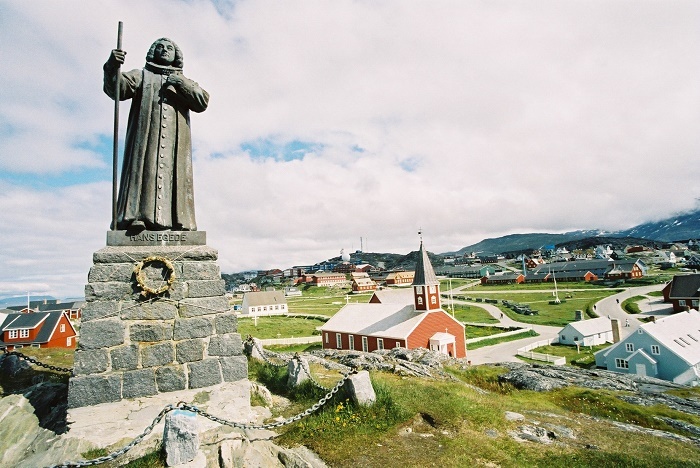 This bronze statue even though it is not of a great importance to the people visiting Nuuk, it stands as a proof that the Christianity (Protestant) to the great island of Greenland has been brought by an early modern multi-national and multi-lingual state from the past that still today, continues to be practiced.